Updated on 13/Jan/2019 – Back in 2014-15 a lot of smartphone manufacturers were offering thin phones like Oppo R5 (4.85 mm), but the problem was lack of good battery life. In the last 2 years, the need for more battery life has made companies move away from a thin design. Especially, after the 4G technology became widespread, the need for better battery phones became necessary as the 4G network consumes more battery in comparison to 3G and 2G. 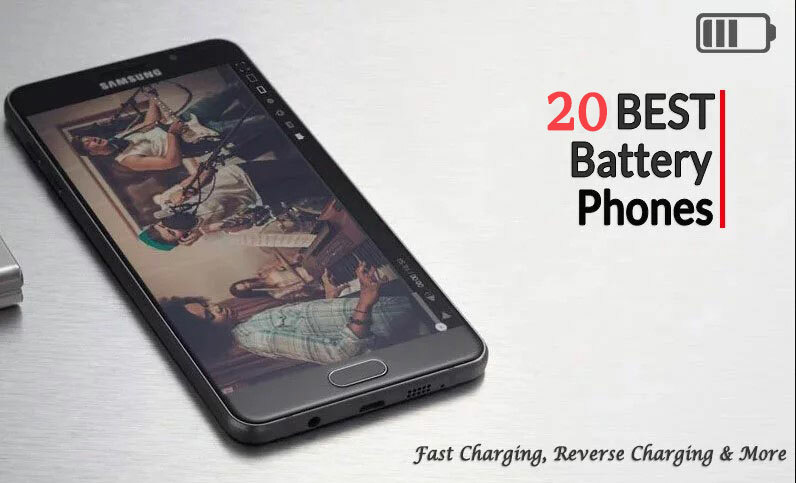 If you are looking for a long battery life mobile, here is the list of best battery phones with a capacity of 4000, 5000 mAH (milli-ampere-hour or amp-hour). Also, I have added phones offering the reversible charging and fast charging support. The list is consolidated after a thorough analysis of all models available globally. These long battery backup mobiles are an ideal companion if you travel a lot or use it daily for long hours. If your Phone battery is draining too fast can read my top 10 tips to increase the battery life. Usually, we struggle with battery life with low battery capacity mobiles and often need to find charging spots at airports, cafes and on long trips. To avoid this try to buy a phone with large battery capacity. With the increasing use of 4G data, especially streaming videos and playing games, battery runs out of juice faster. The alternate solution is to have a power bank, but most people don’t want to carry an additional gadget all the time. This necessitates the purchase of the best battery device. Here are the 20 Best battery life smartphones, starting with the excellent battery backup Phone, Motorola One Power with 5000 mAH battery capacity. Motorola One Power is the latest mobile launched by the company in India for Rs. 15,999, and is available to purchase from Flipkart. The Key Highlight of the Motorola One Power is the 5000 mAH capacity battery that easily offers 1.5 to 2 days of battery back up. In the practical scenario, you can easily use this mobile for more than a day with heavy usage. Also, you can get about 7-9 hours of screen on time from this device depending on usage. Additionally, the phone comes with a super fast 15 Watts charger which can charge the Moto One Power from 0 to 100% in just 2 hours. Other top features include the presence of blazing fast Snapdragon 636 Processor, 6.2 Inch FHD+ (19:9, Notch) display and decent Dual rear camera setup. Also, it is an Android One mobile and comes with the latest Oreo 8.1 update, and will also get the Android P update soon. Display: 6.2 inches, IPS LTPS FHD+ (2340 x 1080) pixels, 19:9 aspect ratio. Corning Gorilla Glass. RAM: 4 GB of RAM. OS: Android Oreo 8.1. Android One Will Get Android P Update. Primary Storage: 64 GB Internal Storage expandable to 256 GB using the Micro-sd card slot. Dual Rear Cameras: 16 MP rear camera with f/1.8 aperture and 5 MP Secondary camera for Portrait Mode. Front Camera – 12 Megapixel Front Selfie camera with f/2.0 aperture. Fingerprint sensor: Rear Mounted Fingerprint Scanner. Battery: 5000 mAh non-removable battery. Fast Charging – Yes, 15 Watts turbocharger. Price: Rs. 15,999, Flipkart exclusive. You can read More about the Moto One Power in this article. The latest addition to the best battery phones is the Moto E5 plus that has gone on sale on Amazon recently and comes with a massive 5000 mAH. To make things better it comes with a 15 watts turbocharger that offers up to 6 hours of battery life with just 15 minutes of charging. You can easily use the phone for 1.5 to 2 days on a single charge. Also, it comes with a new modern glass finish design in black and gold colors that looks classy. Powering the device is the Qualcomm Snapdragon 430 Processor and there is Adreno 505 for gaming and graphics-intensive tasks. Also, there is a fingerprint scanner and support face unlocking support. Also, the phone is splash resistant and comes with P2i rating. Display: 6.0 inches, IPS LCD HD (1440 x 720) pixels, 18:9 aspect ratio. SOC – Snapdragon 430 Octa-Core Processor from Qualcomm. RAM: 3 GB of RAM. Primary Storage: 32 GB Internal Storage expandable to 128 GB using the Micro-sd card slot. Cameras: 13 MP rear camera with f/2.2 aperture and 5 MP front selfie camera. Price: Rs. 11,999, Amazon exclusive. 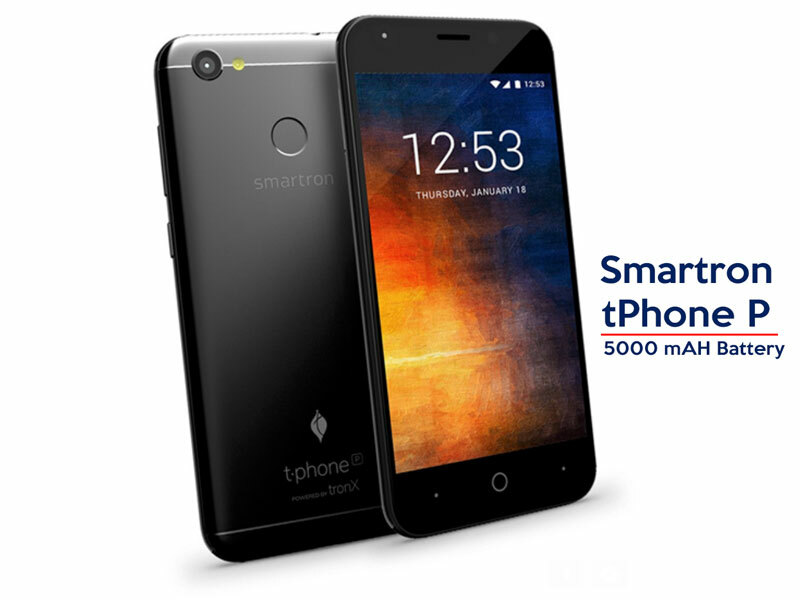 Next, we have a very affordable 5000 mAH capacity mobile from tPhone. The tPhone P is from the Indian brand Smartron (Sachin Tendulkar has an association with them). The tPhone P is an affordable big battery phone that is available from January 2018 for Rs. 7,999 but after a recent price cut now costs Rs. 6,999. Notably, it comes with a mammoth 5000 mAH capacity battery which offers reverse charging support but lacks fast charging. The phone has a premium metallic build and comes with a 5.2 Inch screen with HD resolution. Also, it has blazing fast performance as powering the device is the Qualcomm Snapdragon 435 Processor and the Adreno 505 GPU. Overall – A great phone with extended battery life and performance on a Budget. Display: 5.2 inches, IPS LCD HD (1280 x 720) pixels. SOC – Snapdragon 435 Octa-Core Processor from Qualcomm. Primary Storage: 32 GB Internal Storage expandable to 128 GB using the hybrid Micro-sd card slot. Battery: 5100 mAh non-removable battery. Reverse Charging Support – True. Price: Rs. 6,999 on Flipkart exclusive. The new Asus Zenfone Max Pro M1 comes with some incredible Specs for a really affordable price. The key highlight of the phone is it’s 5000 mAH capacity battery that comes with reverse charging as well as fast charging support. 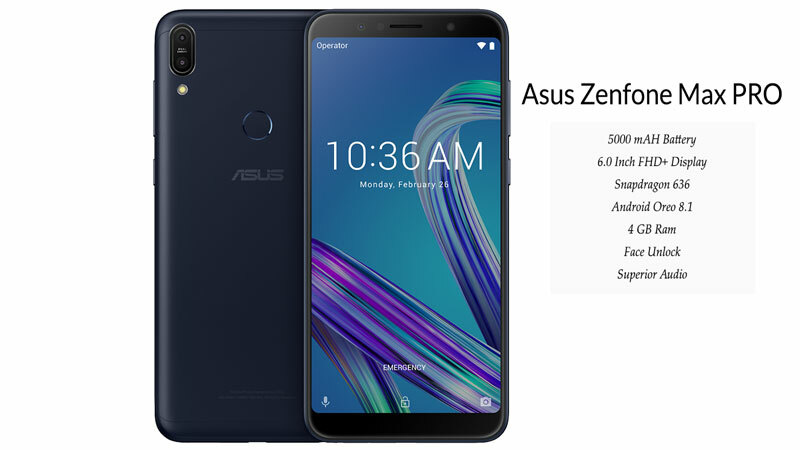 Other top features for the Asus Zenfone Max Pro are stock Android Oreo 8.1 OS, Dual Rear cameras, 5.99 Inch Full HD+ display and an incredibly fast Qualcomm Snapdragon 636 processor and Adreno 506 GPU. Also, it offers a decent 8 Megapixel front selfie camera that comes with Face unlocking technology. Large Display – 5.99 Inches Full HD+, 18:9 aspect ratio, with (2160*1080) pixels and offers a 401 Ppi. Primary Camera – Dual Rear cameras with 12 MP+ 5 MP lens, PDAF and 4K Video support. Enormous Battery – 5000 mAH along with Fast Charging support. Secondary Camera – 8 Megapixel Selfie shooter with dedicated flash support. Powered By – Qualcomm Snapdragon 636 Octa-Core SOC with a clock speed of 1.8 GHz. RAM – 3 / 4 GB LPDDR4. Storage – 32/64 GB onboard storage, micro-sd support up to 2 TB. Software – Android Oreo 8.1 OS, Stock Android. 4G VOLTE Support, Dual Sim. Weighs – 180 grams and has 8.5 mm thickness. Fingerprint Scanner and Face Unlocking – Yes. Also, there is a 6 GB Ram version of the Asus Zenfone Max Pro M1 that comes with same Specs but also has some improved features such as camera and additional Ram and Storage. The mobile has 6 GB Ram and comes with a Dual 16 MP Rear Camera (f/2.0 aperture) + 5 MP camera. Also, the front camera is 16 MP Front Selfie camera which offers great imaging option. The 6GB version is also available on Flipkart for Rs. 14,999 and is much better in terms of the camera in comparison to the 3/4 GB version. Read Review – Zenfone 6GB RAM Version, Zenfone 3/4 GB RAM Version. 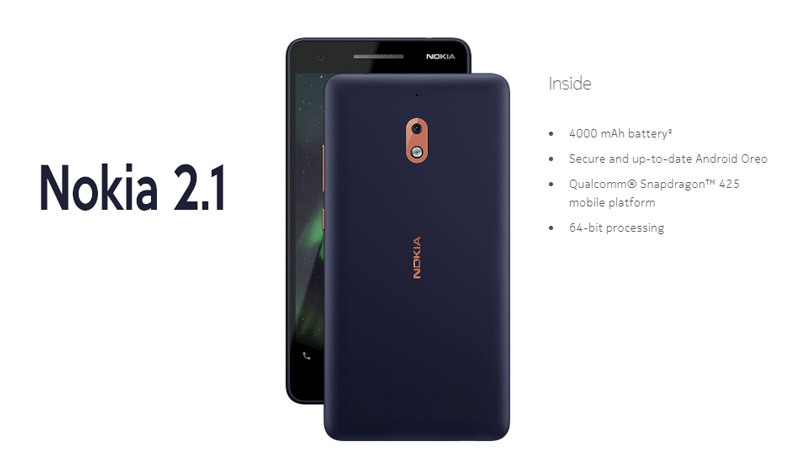 The Nokia 2.1 is recently launched in India and is the most affordable Nokia smartphone you can purchase. The key highlight of the device is its massive 4000 mAH capacity battery that can easily last all day with ease. Notably, the mobile is available on Amazon India for Rs. 6900. It is a good option for entry level phone buyers looking for an extended battery life device. The key benefits are having a good build quality and latest OS. However, it doesn’t come with a fast processor like some rivals. But the phone is much better in comparison to the Nokia 2 that was launched last year. Also, the internal storage is only 8 GB, so you will have to use a memory card with this device. You can purchase it if you like the Nokia brand. Display: 5.5-inch Display with HD Resolution (1280*720 pixels). Processor – Qualcomm Snapdragon 425, Quad-Core Processor clocked at 1.4 GHz. OS: Android OS Oreo 8.1. Internal Storage: 8 GB (seems low), expandable to 128 GB using the micro-sd card. Cameras: Single 8 Megapixel rear camera and a 5 MP front selfie camera. Battery: 4000 mAh non-removable battery. Fast Charging Support – No. Dual Sim – Yes, comes with a dedicated memory card slot. IP 52 Rated – Splash Resistant. Available – Online and Offline. The Micromax Bharat 5 is the latest large battery mobile from the Indian mobile manufacturer, launched in December 2017. The affordable mobile is available for Rs. 5,499 and can be purchased online as well as offline. The Bharat 5 comes with a gorgeous design and has a 5.2 Inch Display with HD (1280*720) pixels resolution. There is also a 2.5D curve glass cover on the top of the display. Also, the phone offers a massive 5000 mAH battery capacity and also has Dual Sim 4G Volte support. Powering the phone is a Quad-Core MediaTek 6737 processor clocked at 1.2 GHz and also comes with 1 GB of Ram. The 1 GB ram seems to be low considering some of the rival phones in this range offer 2 GB. It runs on the Android Nougat 7.1 OS and also has 16 GB of inbuilt storage that can be expanded to 64 GB using a Micro-sd card. Display: 5.2 inches with HD Resolution (1280*720) pixels. Processor – MediaTek 6737, Quad-Core Processor clocked at 1.2 GHz. OS: Android OS Nougat 7. Primary Storage: 16 GB, expandable to 64 GB using the micro-sd card. Cameras: 5 Megapixel rear camera and a 5 MP front selfie camera. Dedicated flash. ZTE Nubia N1 is the latest great battery mobile launched in December 2016 and has a price of Rs. 11,999 or $180. It has exceptional battery life with 5000 mAH capacity battery and offers excellent specs for the price. The device sports a 5.5 inch Full HD display with Corning Gorilla Glass 3. Also, the display offers 1920 x 1080 pixels resolution at 401 PPI. Nubia N1 runs on Android OS Marshmallow with Nubia UI 4.0 on top of it. Powering the phone is a MediaTek MT6755 Helio P10 chipset, an Octa-Core processor coupled with 3 GB RAM and 64 GB inbuilt storage. There is a massive 5000 mAh battery to support the device. 5.5 inch Full HD display, 1920 x 1080 pixels, 401 PPi. MediaTek 6755 (Helio P10), Octa-core SoC clocked at 2.0 GHz. Android OS v6.0 Marshmallow with Nubia UI 4 atop. 13 MP rear camera at f/2.2 aperture with PDAF, dual tone(LED Flash). 13 MP front camera at f/2.2 aperture with 1080 p recording, added beauty filters & smart fill light. Fast fingerprint scanner (takes 0.2 seconds to unlock). Dual sim support with 4G (LTE) connectivity. Non-removable 5000 mAh Li-Po battery. Lenovo P2 is a Flipkart exclusive and is available from early 2017. Just like it’s predecessor P1, this one has a monster battery. The battery is not the only good thing about this device. Powering the device is the Qualcomm Snapdragon 625 SoC clocked at 2.0 GHz which is power efficient. There is Adreno 506 GPU for graphics and games. 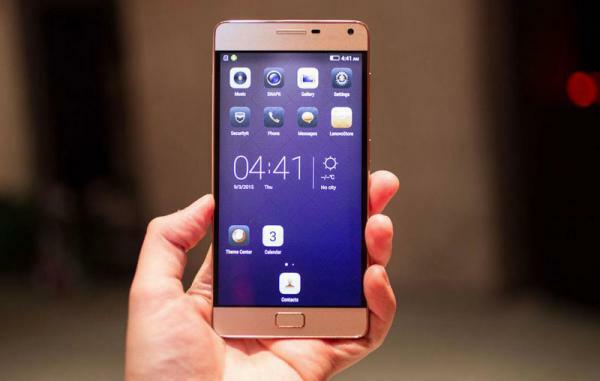 Further, the device sports a 5.5 inch Super AMOLED display, offering 1920 x 1080 pixel resolution. Lastly, it has an enormous 5100 mAh non-removable Li-Ion battery and weighs 177 grams. Display: 5.5 inches, Super AMOLED display Full HD (1920 x 1080) pixels. SOC – Snapdragon 625 Processor from Qualcomm. Processor Speed: Octa-core processor with Clock Speed of 2.0 GHz. RAM: 3 GB or 4 GB RAM variants. OS: Runs on Android OS v Nougat 7.0 with Pure Vibe UI on top of it. Primary Storage: 32 for 3 GB & 64 GB for 4 GB variant. Secondary Storage: expandable up to 128 GB via SD card & there is no dedicated SD card slot. Cameras: 13 MP rear camera with Sony sensor and dual LED Flash & 5 MP front camera at f/2.2 aperture. Fingerprint sensor: Front Home Button mounted fingerprint sensor. Fast Charging and Reverse Charging Support – True. ZTE launched the ZTE A2 Plus in the February 2017, and it offers incredible battery backup with some outstanding specs. 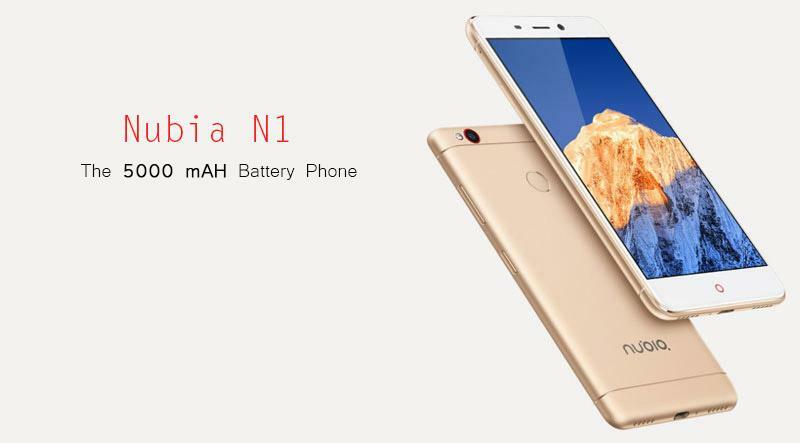 ZTE has been focusing on Big battery life smartphones in India with the launch of new Nubia N1 and the ZTE A2 Plus. 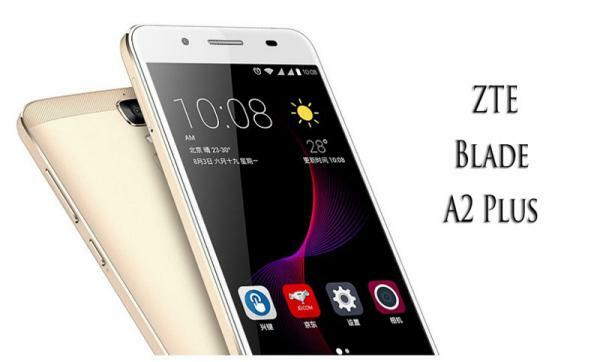 The ZTE A2 Plus was launched at Rs. 11,999 and in March 2017 has got a price cut of Rs. 1000. Notably, it comes with Fast Charging support and a big 5000 mAH battery which can effortlessly work for 1-2 days depending on the usage. The other key highlight of the device is 5.5 Inch Full HD Display which comes with 2.5 D curve glass. The device comes with 32 GB of internal storage and 4 GB of RAM. It has Dual Sim, 4G LTE as well as VOLTE support. The device weighs 189 grams and has a thickness of 9.8 mm. It is not one of the sleekest big battery mobiles. Screen – 5.5 Inch Full HD Display (1920*1080) pixels, 401 PPi. Processor –Mediatek 6750 an Octa-Core processor. Processor Speed – Clocked at 1.5 GHz, Cortex A53 Cores. RAM – 4 GB LPDDR3 Ram. Storage – 32 GB onboard, expandable up to 128 GB. Rear Camera – 13 MP rear camera with Flash support. Front selfie camera – 8 MP Selfie camera. OS – Android Marshmallow 6.0 along with MiFavor 3.5 UI. Battery Capacity – 5000 mAh battery with fast charging. 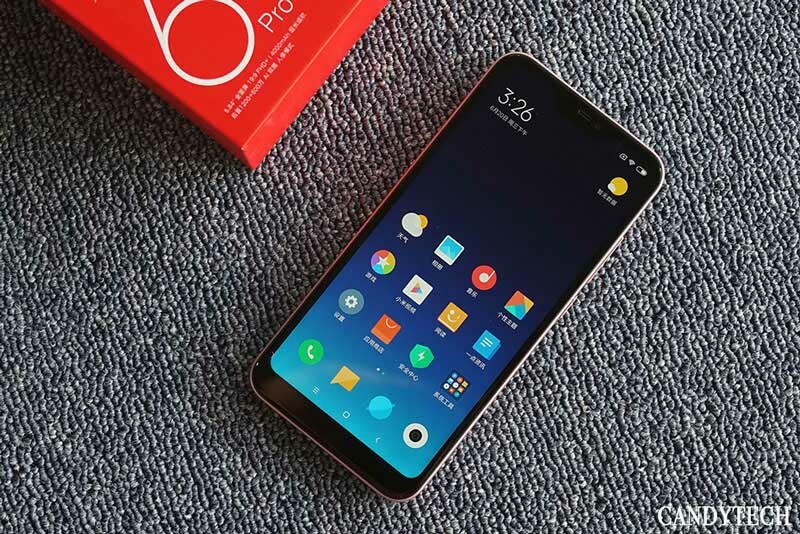 The Xiaomi Redmi 6 PRO is a good performance phone with sizeable battery capacity. It comes with a price tag of Rs. 10,999 for the lowest storage/ ram variant. The mobile comes with quite a large battery 4000 mAH Li-polymer, and it can easily last all day with 4G usage. The phone comes with a 5V/2A charger which offers average charging speed. Further, it comes with Dual Rear cameras with 12 MP + 5 MP sensors, and there is a 5 MP front camera to click selfies. Notably, it runs on the tried and tested chipset from Qualcomm – Snapdragon 625 clocked @ 2.0 GHz and even comes with Adreno 506 GPU which is decent for gaming. Also, there is ample storage with 32 GB internal and up to 256 GB using a micro-sd card. The Dual Sim mobile offers 4G LTE / VOLTE connectivity along with the native support for 3G / 2G / WIFI. Moreover, it is one of the most affordable Xiaomi Phones that comes with a (5.84) FHD+ (1080*2280) with a notch design. It is available in 2 variants with 3GB / 4 GB RAM and 32 GB / 64 GB storage with price tag of Rs 10,999, and 12,999. Performance – Qualcomm SD 625 (8 Cores) Processor, Clock Speed 2.0 GHz and Adreno 506 GPU. Screen Size – 5.84 Inches FHD+ Display Resolution (2280*1080) Pixels offering 402 PPI. Memory – 32 GB / 64 GB expandable up to 256 GB via Micro SD card. OS Android Oreo 8.1 along with MIUI 9.5, Dual SIM. Front Selfie Camera: 5 Megapixel. Face Unlock Support – Yes. Battery Capacity – 4100 mAH Battery. 5 Volts and 2 AMP Charger. The Motorola Moto E4 Plus was launched in Mid-July in India and is available to purchase from Flipkart. The E4 Plus comes with a 5.5 Inch HD display and features a design quite familiar and used in the Moto G5 series. The highlight of the Moto Phone is its 5000 mAH battery capacity, which can efficiently work for 2 days with a reasonable amount of usage on the 4G network. Display: 5.5-inches HD Display (1280*720) pixels with 267 PPI. Processor: Quad-core processor MTK 6737 with a clock speed of 1.3 GHz. Operating System Software: Android Nougat 7.1 with near stock experience. Storage Capacity: 32 GB onboard storage, expandable up to 128 GB. Dual Sim and 4G Connectivity, Fingerprint Scanner. Selfie Camera – 5 MP Front Selfie camera. Battery Capacity: 5000 mAH battery. Cheapest Good battery mobile under $50 or Rs 3000 – Ultra Cheap Intex Aqua Y2 Power is the latest smartphone launched almost a year back and is also one of the cheapest long battery Life mobile that you can buy. The phone offers a 2900 mAH capacity battery and is an excellent choice for people looking for big battery life Dual Sim phone below Rs. 3000. OS – Android OS KitKat 4.4.2. Battery Capacity – Li-ion removable 2900 mAH battery capacity. Major Con – Does not come with 4G Support. Will not work with JIO Sim. In conclusion, the Intex Aqua Y2Power is good as far as battery life is concerned at a very affordable price below 4K. It can be a good daily driver if your usage is more limited to calling and WhatsApp and Facebook. 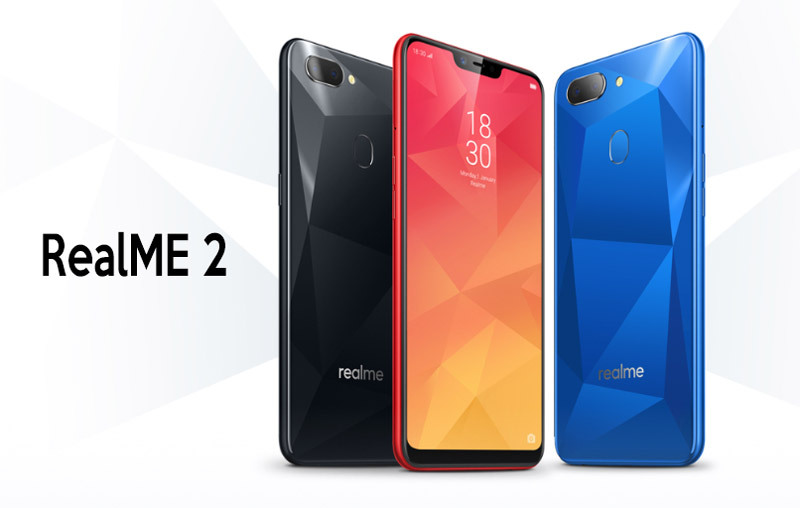 The RealMe 2 is also a recent addition to this list and is from the sub-brand of Oppo (RealME). Notably, the company is relatively new in India but the parent company Oppo has a very strong footprint in the country. The RealME 2 comes with a large 6.2-inch screen size with a notch display and has HD+ resolution -1520 x 720 Pixels with 19:9 aspect ratio. Powering the device is the Qualcomm Octa-core Snapdragon 450 Processor / Adreno 506 GPU coupled with 3 GB ram/ 4 GB ram and 32 GB / 64 GB inbuilt storage. The 3 GB RAM version is priced at Rs. 8,999 while the 4 GB RAM version comes at Rs. 10,999. Rest all the specs are the same on both models. Also, the phone comes with a triple slot sim card tray to house 2 sims and 1 micro-sd card. The RealME 2 comes with a large 4230 mAH capacity battery and comes with a 5V/2A charger. The screen on time is expected to be close to 5 hours considering the screen size and processor. The phone doesn’t come with a super fast charger but can manage to charge in less than 3 hours. Processor- Octa-Core Snapdragon 450 processor with 1.8 GHz Clock Speed. Ram- 3 GB Ram / 4 GB Ram. Screen size- 6.2 inch HD Display with 1520 x 720 Pixels resolution and 271 PPI. Software – Android Oreo 8.1 along with the Color OS 5.1. Dual Rear Camera – 13 MP + 2MP with f/2.2 aperture, Portrait Mode Support. Connectivity – Dual 4G LTE /WiFi / Bluetooth. Battery Size- 4230 mah battery with Average Charging speed 5V / 2Amp Charger. Price Rs. 8,999 and Rs 10,999. 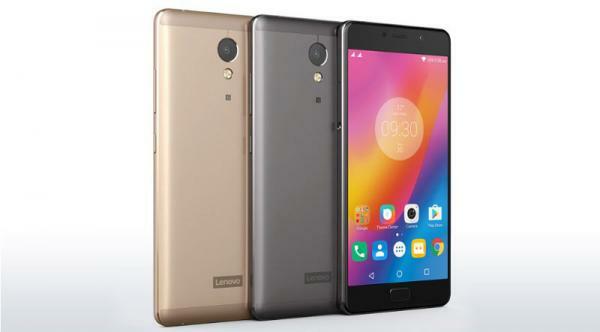 Lenovo has launched the Lenovo Vibe P1 Turbo along with the P1M recently, and it is available on Amazon and costs Rs 12,500. It comes with a massive battery of 5000 mAH which can easily last 2 days or 3 days with modest usage. The P1 Turbo packs some top-line specs like the 32 GB internal storage and a Full HD Display with Android Marshmallow. Also, it comes with fast charging as well as USB OTG support. Processor – 1.5 Ghz Qualcomm Snapdragon 616 Octa Core Processor. Screen Size – 5.5 inches Full HD Display 401 PPI. Camera – 13 MP, 3264 x 2448 pixels, autofocus, LED flash, autofocus, Secondary Camera – 5 MP. Memory Internal memory 32 GB expandable storage. Connectivity – 4G LTE, 3G, and 2G. Next, we have top selling Xiaomi smartphone which offers great performance along with 4000 mAH battery capacity. Best Battery Back up Mobile Under 10K – Xiaomi Redmi Note 4 is a killer phone for the price, and it comes with very large battery back up too. The mobile is available on Flipkart India for a price of Rs. 9,999 for the 16 GB version and the 32 GB version / 3 GB RAM is available for Rs. 10,999. It even comes with 4 GB RAM / 64 GB version priced at Rs. 12,999. Moreover, the device comes with 4100 mAH battery capacity. The Redmi Note 4 can last 1 day to 2 days easily with a single charge. Powering the Note 4 is the Qualcomm Snapdragon 625 processor which is one of the best processors you can get in this price range. It is also highly energy efficient to increase the battery life further. Processor – Octa- Core Qualcomm Snapdragon 625 Processor, Clocked @ 2.0 GHz. Screen Size – 5.5-inch (1920*1080 pixels) FHD IPS display. – PPI 401. Memory – 16 GB /32 / 64 GB of inbuilt storage, which is further expandable via microSD card (up to 128 GB). OS – Android 6.0 Marshmallow along with MIUI 8.0. You can read our review of the Xiaomi Redmi Note 4 here. Xolo era 4k was launched a couple of months back but beats most of the competitors with its huge battery capacity in the price range of below 7K. It features 5 Inch HD IPS Touchscreen Display With 294 PPI display and a MediaTek MT6735P Quad Core Processor clocked at 1 GHz. Notably, it comes with 2 Gb Ram for fluid experience and has 8 GB Rom which is expandable using a micro SD card. Also, it runs on the Android Lollipop OS out of the box and is available on Amazon and Snapdeal. The highlight of the phone is its massive 4000 mAH battery which would further give more standby time and increase battery life when it gets the Android Marshmallow update. Processor- 1 GHz MediaTek MT6735P Quad Core Processor. Software – Android Lollipop 5.1 with Google Now Launcher. Rear Camera- 8 MP Auto Focus Camera With Dual LED Flash. Battery Size- 4000 MAh Battery with fast charging. Gionee’s latest iteration is M7 Power which comes with an eye-watering price tag and even bulkier battery capacity of 5000 mAH. The battery life is impressive, and it can be used for 2 days easily. It has a massive 6 Inch HD Display With 18:9 aspect ratio and 1440*720 pixels resolution. Powering the phone is an Octa-Core Qualcomm Snapdragon 435 processor with a maximum clock speed of 1.4 GHz. Additionally, it comes with 4 GB RAM and has 64 GB internal storage expandable up to 256 GB. For photography, it comes with a 13 Megapixel rear camera, and there is an 8 MP selfie shooter at the front. Besides, offering a massive 5000 mAH capacity battery it even boasts of Fast Charging support. Storage – 64 Gb intern memory, expandable up to 256 GB. Screen Size- 6-inch (1440*720 pixels) HD Display with 2.5D arc glass. Software – Android 7.1 (Lollipop) with Amigo OS 5.1 on top. Rear Camera- 13 MP Auto Focus Camera with LED flash, PDAF, 1080p video recording. Front Camera – 8 MP Selfie Shooter. Battery Size- 5000 mAh battery with fast charging. Price Rs 15,990 or $250. The Xiaomi Mi Max 2 is available from 20 July 2017 in India, and it is the successor of the popular Mi Max. The Mi Max 2 has an enormous Full HD Display with a 6.44-inch screen panel with 2.5D Curved Glass. It also comes with an equally enormous battery capacity of 5300 mAH along with Quick Charge 3.0 fast charging technology. Powering the mobile is a Qualcomm Snapdragon 625 processor which is really energy efficient and can boost the battery life further. It can easily work for two days. It is an excellent phone for gaming, reading content and watching the video with great battery back up, extraordinary processing power and brilliant display. The Phone comes with USB Type C Port, weighs 212 grams and has a thickness of 7.6 mm. Also, it has a fingerprint scanner at the back of the device and features an IR blaster as well. Screen Size, Display, Resolution– 6.44 Inches, FHD (1920*1080), 343 Pixels per inch. Powered By – Qualcomm SD 625 8 Cores Processor, Max Clock Speed 2.0 GHz, Adreno 506. RAM – 4 GB LPDDR3. Onboard Storage – 64 GB. Expandable Storage – up to 128 GB using micro-sd. Software – Android Nougat 7.1 along with MIUI 9.0. 4G VOLTE support with Dual Sim. Battery– Enormous 5300 mAH capacity battery with fast charging support – QC 3.0. The Mi Max 2 has (Swag) excellent value for money best battery phone with Android Nougat priced below Rs 20,000. The Samsung A9 PRO is a large display smartphone like the Xiaomi Mi Max 2 and comes with a large 5000 mAH capacity battery with fast charging support. The A9 Pro has dropped in price by almost $150 since its launch and is now really affordable. There is 6.0 Inch Super AMOLED display which comes with 2.5D Curve glass and Full HD resolution (1920*1080) pixels. Powering the device is the Qualcomm Snapdragon 652 Octa-Core processor with a clock speed of 1.8 GHz and comes with Adreno 506 GPU for excellent gaming performance. The A9 Pro also comes with a decent camera and has a fingerprint scanner. Large Display – 6 Inches Full HD with (1920*1080) pixels and offers a 342 Ppi. Primary Camera – Offers 16 MP lens with f/1.9 aperture and Optical image stabilization. Secondary Camera –8 Megapixel Selfie shooter with f/1.9 aperture. Powered By – Qualcomm Snapdragon 652 Octa-Core SOC with a clock speed of 1.8 GHz. Storage – 32 GB onboard storage, micro-sd support up to 128 GB. Software – Android Marshmallow 6.0, Samsung Touch-wiz skin. Weighs – 210 grams and has 7.9 mm thickness. 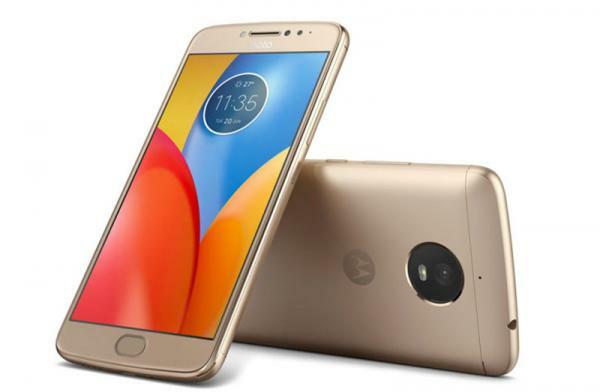 The Moto C Plus is an affordable mobile with a price tag of Rs. 7000 or $100. It offers a great battery back up and also comes with the Stock Android Experience which is fluid. Display – For starters, it has got a 5.0 Inch Display which offers HD Resolution (1280*720 Pixels) and 283 PPI. Performance – Powering the phone is a Meditek 6737 Quad-Core Processor clocked at 1.25 GHz, and it comes with the Mali T720 GPU. The Moto C Plus comes with 2 GB of ram. Storage – Furthermore, it offers 16 GB of onboard storage, and it can be expanded to 32 GB using the micro-sd card. Camera – There is an 8 Megapixel rear camera which comes with LED Flash and Autofocus support. At the front, the phone has a 2 MP selfie camera. Connectivity – Lastly, it comes with 4G Volte support and can run all day on its 4000 mAH capacity battery. The device measures 10 mm in thickness and weights 162 grams. The Panasonic P55 Max Launched was On Flipkart at a Price Rs 8499 or $140. Panasonic is a Japanese brand which is still struggling in India to compete with the affordable Chinese rivals. Display – The Panasonic P55 Max comes with a large 5.5 Inch Display but has an HD (1280*720) pixels resolution. Performance – Powering the phone is a 1.25 GHz Quad-core MediaTek MTK6737 processor and even has the Mali T720 GPU. There is 3 GB of RAM. Storage – Further, the P55 Max comes with 16 GB of internal storage which can be expanded to 128 GB using the dedicated micro-sd card slot. Camera – The mobile offers a 13 Megapixel rear camera which comes with autofocus and LED flash support. The front selfie camera has a 5 Megapixel resolution. Battery and OS – Moreover, the phone offers incredibly large 5000 mAH capacity battery which is sufficient to last all day. The phone also comes with fast charging support and runs on the Android Nougat 7.0 OS. The phone also has Dual Sim support along with 4G. Build and Design – Lastly, it is made from poly plastic material and weighs 180 grams and has a thickness of 8.7 mm. Overall – It offers a great battery life though has a mediocre processor. The InFocus Turbo 5 Plus was launched recently in September 2017 in the Indian market at a price tag of Rs. 8,999. The Key highlight of the phone is its Dual Rear camera and an enormous battery capacity. Display – For starters, it comes with a 5.5 Inch Display with HD resolution (1280*720) pixels and a 267 PPI. The display also has a 2.5D Curve glass coating. Performance – Further, powering the phone is a MediaTek 6750 Octa-Core processor, and it comes with the Mali T880 MP2 GPU. Additionally, there is 3 GB Ram to ensure multi-tasking and fluid working. Storage – The phone comes with 32 GB of onboard storage which can be further expanded to 32 GB using the micro-sd card. Camera – For photography, there is a 13 Megapixel rear camera + 5 Megapixel secondary camera. The Dual rear camera can click images with bokeh mode. At the front, there is a 5 Megapixel shooter. Battery Life – Most of all, it comes with a massive 4850 mAH capacity battery, which is capable of running all day with heavy usage. The phone measures 9.0 mm in thickness and weighs 176 grams. Also, it offers a fingerprint scanner embedded in the front home button. Overall the mobile offers a Dual camera experience with a big battery to ensure you can easily work all day without any battery woes. The Gionee Marathon M5 has the largest battery of all the smartphones listed in the above list and has an insane 6000 mAH battery capacity. The M5 was unveiled in China on 10 June 2015. In fact, the phone has Dual batteries which offer 6020 mAH capacity. You can use the mobile with one battery and charge the other battery using an external battery charger as well. With such a colossal battery capacity, the Gionee Marathon M5 makes the power bank useless. Also, it is capable of reverse charging (you can charge other devices from it) and even is equipped with fast charging feature. It is yet to hit the Indian markets. Processor – 1.2 GHz Quad-core processor. Screen Size –5.5-inch (1280*720 pixels) (~267 PPI pixel density). Camera – 13 MP Primary Camera with Auto Focus,5 MP Secondary Camera. Memory – 16 GB expandable up to 32 GB via Micro SD card. Battery Capacity – 6020 mah. Asus launched the Asus Zenfone 3s Max recently, and it comes with indeed premium built quality and design. It showcases a unibody metallic build and looks quite thin and easy to use. Notably, the mobile has got a 5000 mAH battery and great battery back up. Likewise, the original Asus Zenfone Max. Also, it comes with features such as fast charging and reversible charging. The smartphone offers 3 GB of Ram and runs on the latest Android Nougat 7.0 update. Also, the phone supports 4G LTE as well as VOLTE support which means you can use the JIO or any other operator sim card with this phone without any glitches. Moreover, it is a premium looking mobile without much thickness or bulk and enormous battery capacity. You can read more about the Asus Zenfone 3S Max in this detailed Review. Display – 5.2 inch IPS HD display (1280*720) pixels. Processor – 64 bit Qualcomm MTK 6750 Processor (Octa-Core). The number of cores – Octa-core 1.5 GHz. Camera – 13 MP primary rear camera, 8 MP Front Selfie Camera. Storage – 32 GB with micro SD slot up to 2 TB. OS – Android Nougat 7.0. Connectivity – Volte and 4G LTE support. Fingerprint Scanner – Yes at the front. I have tried to capture all the best battery life mobiles which are available in the market in this list, though could have skipped some of them due to either lack of availability or limited availability in some specific markets. Also, there are phones like Oukitel K10000 PRO and YAOO 6000 Plus that offer 10,000 mAH capacity battery. Do let me know in comments if you find a good battery phone that we must add to this list. Explore more Latest Long Battery Phones Here. 12 Best Smartphones Under Rs 15000. 8 Excellent Dual Camera Mobiles for Photography. 10 Best Mobiles With 4G Under Rs 10000. Great, thanks for sharing information about how mobile battery can be kept healthy. You have really listed nice points to take care of the mobile battery life. From my side, I would recommend not to use animated wallpapers which might eat not just the battery but also the processor speed. I would also suggest not to drain the battery to 0%. Everyone should apply charger when battery get down to 5 or 10%. Anyways, very nice article. Couple of points which I was not aware of are mentioned in your post. Keep sharing and good luck. Which of the Samsung mobile have the longest battery life apart from J7 pro? Redmi 4 is the best over all between Rs 20000. Apart from samsung which company is best. I want to buy high end smartphone with highest battery life, high end configuration, sturdy. Budget is no problem. Ultimate phone is MI MAX 2 / REDMI NOTE 4 is the best option for long battery. How about Lenovo Z2 Plus? Its configuration impresses much compared to the other mobiles in that price range..
P2 has a very long battery life, how much are you getting …. Why be blind / unknown about Lava x_38,with3950-MaH battery. Please don’t suggest Lenovo ZUKZ2 plus.It’s not at all good/best smartphone.With in week it’s started hanging and heating.So kindly don’t play with customre’s money and interests. What about the octacore Oukitel K6000 Pro with its 6000mA battery? Meizu M3 note comes with 2A normal charger, same as in Coolpad Note 3. Takes minimum 3 – 3:30 hours to full charge. Not comes with Fast charging. Please kindly correct it. Yes, its No. 1 in battery life, I have tested in all updates, I agree with ranking. Hi thanks for your comment Jitendra.. I have been using a Nokia E63 for several years very happily. I liked my phone to be a phone and not a mini computer, but those days are gone now. Since I have to upgrade, I am trying to find something that suits me best. but neither of these is available easily. 3. Efficient battery that will last me at least 24 hours. Is a detachable battery better?? 6. Phone calls, messaging, whatsapp, and booking cabs etc. should happen effortlessly. 10. Should last me the next 4 years. Your reviews suggest that battery performance is just about capacity, but a combination of battery capacity, hardware and software. Is that correct? These are not chakachak, but they do the job, your reviews seem to suggest. Please give me advice based on all this! Thanks! Hi thanks for your detailed query, Your budget I guess is from 8000 to 20,000. Higher your budget the better device you can purchase. I would say fo for the Zuk Z2 or the Moto G4 Plus for good camera and overall experience. i am using Lyf Earth-1 and it doesn’t charge fast, even though it has 3500mah! dear Ashish you can buy the Moto G4 Plus or even go with the Lenovo Z2 Plus …. I need a smart phone, Marshmallow os, long battery life, quick charging, fingerprint sensors, good camera and good 4 G internet connectivity under 9 k. Please suggest me at least 3 options. Looking 5 inch Smartphone with 32/64 GB with dedicated expandable memory slot(Not Hybrid) Superior Display pixels, Dolby like audio specifically for Gaming, Entertainment etc. Currently I’m using Gionee E3, like that i’m expecting. Also lightweight. Similar like Lenovo Vibe Shot(which has 32 gb with dedicated memory slot), in that missing finger print, old model. You can buy the Oneplus 3 or the Mi5 in this range, no phone exists with all you ask..
what is your budget for the smartphone ? Micromax canvas juice 3 is the best as i am also having it it is amazing . i had not faced any problems . Thanks Deva for your feedback! How about the Moto G4 Plus … price range ? why lenovo p1m not mentioned? You surely missed ‘Xiaomi Redmi 3’. Its better than many other smartphones with a very stylish look. Hope will see more interesting devices. I remember reading that the xiaomi redmi note 3 does not have expandable storage via micro SD card. Any comments are welcome. Thanks. No it has expandable storage upto 32 GB , second sim slot can be used as micro-sd. Gionee marathon m5 lite is the best ever i challenge you no one better compare with them…. Hi sir any best xolo phones 3gb ram 4kmah battery. Below 11k. Sir mi note 3 32gb any heating problem. Sam people told me this phone is very heavy heating wean charging time……. Sir zen max is olny 1.1ghz processer how make the past. Its any havy app hanging problem in the future sir. R tell me any best phone below 12k. Hi sir. Best 2ghz,best battery backup,401ppi display below 12k. Not mi. Any best company…… Tell me about the phone. Hi, this is sri. I want best 5000mah battery backup&2gzh best android phone below 9K. Tnq sir. You have missed Honor Holly 2, It is good at battery and 5 inch mobile. Hope you are doing well. There are so many option for you consist all your requirements. All the above phones also very good. Also you can go with Gionee Marathon M5. It has 6020 mAh battery with 5.5 display. want know abut perfomance of zenfone max…. I want to go for Gionee M2. This phone really has good battery backup. Intex Aqua,Gionee M2 and Micromax juice 2 is also good smartphone with good battery life. i bought juice 2 from Moskart and i haven’t any complain about battery life of my phone. I want to buy a smart mobile phone 5 inch screen,4g,3g,4000mah or more battry capacity,13 mp camera.please suggest. Pls guide under ₹15-20K, the best Business Featured smartphone having MS Office Document Editing is must for all types of File & 4G. With a good backup. under 15k, which smartphone is the best with long battery life, 13 MP+5MP, lollipop? Is Wammy Neo 3 is 4G? So far I am having no issues with my device that has Android KitKat 4.4 by default. I am using the Royal V5 by iDROID USA. I think they are making supreme phones that are out of this world. My battery timing is super plus it has a decent talk-time. Looking for 5inch screen or less with good battery backup. which I can use it for atleast 2 years. I want to purchase a android mobile having with micro sim with very strong battery back up up to 4000 mAH & 4GB RAM and strong ROM with pricing Rs.20000/= to Rs.25000/= & internal support of memory up to 128 or 64 and expandable up to 200GB with android version Lollipop 5.1.1. and supportive with Wifi/3G/4G. Kindly suggest the Brand name of any android phone for which I should go immediately. or for List of Android latest mobile having Battery 4000, RAM 3 GB and 64 GB inbuilt with Octa Core Processor, Display 5.7″ with memory support 128 GB external supporting Wifi/3G/4G/HDMI/NFC and processor 1.8 GHz or 2.2GHz with Version 5.1.1. Lollipop with Weight up to 150-160 gm with micro or Memory Card support. Dear Sir, I want buy a 3G/4G smartphone of 2GB RAM 16GB Internal Storage with battery back up minimum upto 3/4 days in daily use like only talking and little internet use under the price band of 7000 rs/- which phones are preferable. Regular size SIM phones are mainly to be considered if available as micro and mini SIMs are not alterable with other devices like data card use. Also service factors should also be considered as I am staying at small town of Odisha, i.e. Sambalpur (District HQ). Please suggest me. Thanks Sharma Jee , I am looking at your advice before I buy. But if there is any option for regular size SIM smartphone please inform me. I am regularly watching your advises. thanks for your comment:) sure will try to help. Why didn’t you consider Acer e 700 it should be at no 1 place wit it’s price range and amazing qualities..I think you really need to reconsider.as I am its user for past 10 months. I would like to have smartphone having configuration as below. kindly suggest. I want to purchase under Rs8000 smartphone with all feathers and good battery life also good camera Thx. I want to buy a phone under 9000. Please help me.